Have you ever wondered why the nocturnal creatures called werewolves always manifest themselves whenever the moon is high? I mean, could it have anything to do with them getting aroused by the sight of a bulbous orb, floating around above their heads? Or better yet, could it be due to them watching this 75 minute movie made in 1972? It was Directed by Daniel Petrie, and Starred: David Janssen, Barbara Rush, Bradford Dillman, Geoffrey Lewis, with John Beradino. Thank you very much for having a cup of coffee with me, today, Louise (Barbara Rush). After the long day I've had, I defiantly need to sit down and talk to someone who I don't think is a murderer. Well, I'm sure your brother Andrew (Bradford Dillman) has told you how I'm currently investigating the brutal slaying of Ella, over by the lake. And how I'm trying to piece together the circumstance's surrounding her mysterious demise. Now at first I thought it might have been her strange looking brother, Lawrence (Geoffrey Lewis). Yet I'm happy to say it couldn't have been him. Lawrence is a left handed individual whereas her killer uses their right. I then suspected my old friend, Doctor Druten (John Beradino). Especially when I eventually found out that he got Ella pregnant and tried to hide this fact away from me. But again -- no -- it couldn't have been him. I couldn't have been him despite my own personal reservations. Still. 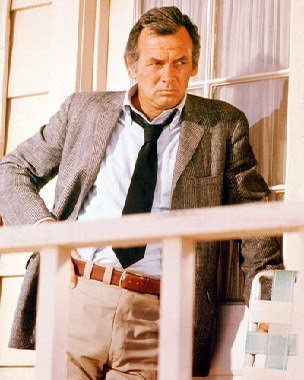 I suppose that's why what next transpires all goes rather berserk, when I hear someone call out to me 'Sheriff Whitaker (David Janssen)! 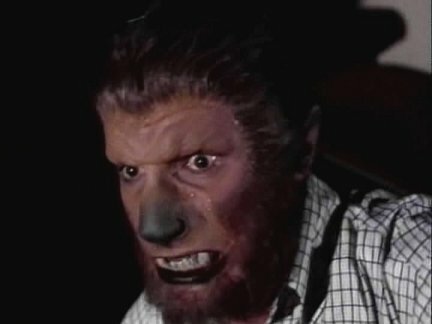 Lawrence has just been killed by a werewolf!'. As an investigation is lent a helping hand - can anyone hear that mariachi band - a revelation is fearlessly no joke - and at the end of the day, everything goes up in a wail of smoke. I'm sure some of you out there are wondering to yourselves why I keep on reviewing these seventies television movies. Surmising that it might be a lot better for me -- plus my site -- if I spend my time reviewing much more modern flicks, instead of these antiquated slices' of cinema. So to answer this question, dear reader, I'd like to say that I'm the type of reviewer who puts the story before the production values or any flavors of the month. To me the story is the key, and everything else is merely cosmetic fervor that might possibly -- possibly -- enhance the plot. Now the way I see it 'Moon of the Wolf' justifies' my stance in more ways than one. Not only because it's a good-sold film which tells' a very intriguing murder-mystery. But in addition to this, you can also tell that the cast, the story, and the setting for this piece -- Louisiana -- has made it into what it actually is. And what might that be? Well, if you take the conceptual essence of such ongoing television series like 'Columbo' or 'Maverick', and then amalgamate this component into something like 'The X-Files', what you get in turn is this film in a can. Yeah. Straight up, dear reader! In my eyes this adventure has that intriguing manner of setting up the premise, allowing the characters to then unfold the plot, before relaying a fairly modest whodunit you can't help but want to follow. This adventure is just like any other cop drama made during this period, except its setting is more rural and timelier, plus it involves a werewolf. Oh! And while I'm on the topic of the noted... ahem... werewolf. Yes. This character does look crap on screen. As I'm sure the makers of this movie purchased it from the then seventies version of ebay. Also, something else I wasn't too keen on either, is that although the cast did a brilliant job of conveying the overall narrative, there were a few instances where needless back-story held up the nuptials. Particularly those two 'wolf hunt' scenes, plus that sub-plot where Barbara's character told David's character about her recent history. Apart from that, though -- nah! -- this was a great film. And these are its filmic facts. (1) The 'ABC Television Network' first broadcast this production on the exact same day Norway was rejected membership into the 'European Common Market'. It was on the 26th of September, 1972. (2) Loosely translated, this project was entitled 'At the Mercy of the Werewolf' in Finland; 'The Wolf of the Night' in France; and 'The Hour of the Wolf' in Germany. (3) The majority of this movie was shot on location throughout the American state of Louisiana. This includes such places as Clinton and Houmas House Plantation, located in Burnside. (4) This made for television film was limply based on a 1967 Gothic horror novel of the same name, written by the noted journalist, Leslie H. Whitten. (5) It's been implied that the popular television series, 'The X Files', was inspired by this adventure, as well as Jeffrey Grant Rice's 'The Night Stalker' series of films. 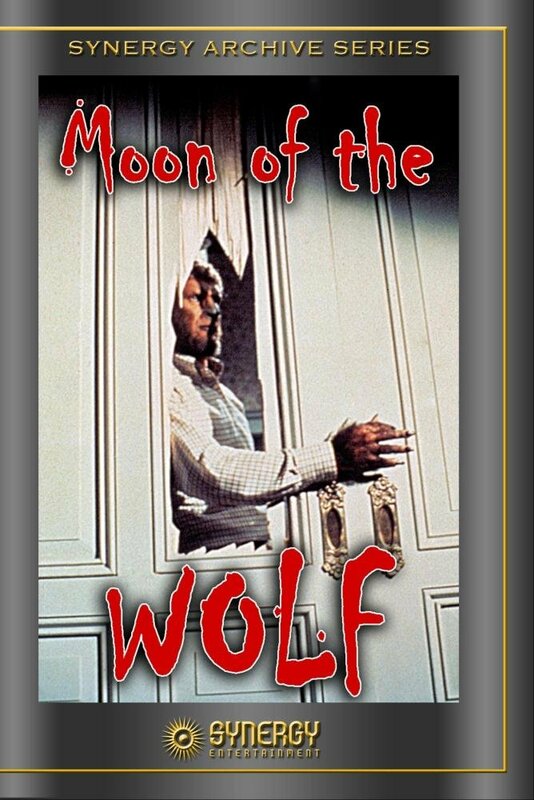 (6) The taglines used to promote this picture, was, 'Deadly secrets emerge from the shadows when the full moon rises!'. (7) The poor chap who wrote the opening credits for this film made one slight error upon the screen. When he transcribed the date of production into roman numerals, he left out an 'X', thus implying it was made in 1962 [MCMLXII] and not 1972 [MCMLXXII]. 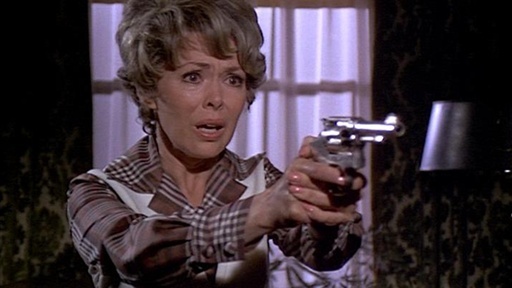 (8) After this flick drew the curtains, David Janssen starred in the TV Movie, 'Birds Of Prey'; Barbara Rush starred in the TV series, 'Maude'; and Bradford Dillman starred in an episode of the popular crime-drama, 'Columbo'. 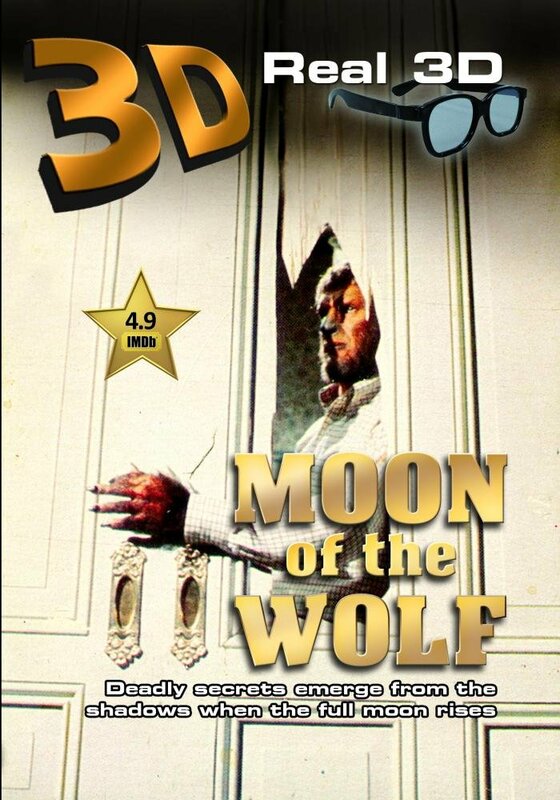 Overall I'd say 'Moon of The Wolf' is a very solid and interesting movie to sit down and watch. All of the actors in it were great. The story-line it ultimately put across was an evolving one. And as push comes to shove, the only thing that let this movie down was the fur off of the wolf's back.